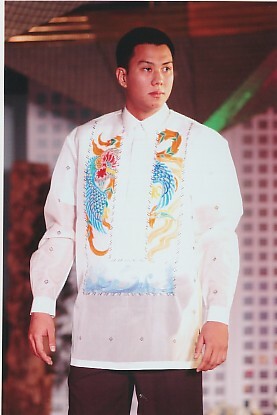 Mr. Antonio G. Vijungco aka Toni Galang. Toni Galang is one of the very few Manila-based designers who can lay claim to a respected position in the highly competitive international fashion industry through an approach to his artistry and craft. Acknowledged as one of the Philippines' leading exponents of Filipiniana dressing, Galang has been hailed for his innovative use of indigenous materials, the revival of traditional patterns, the practice handiwork in painting and embellishment, and an attention to detail. 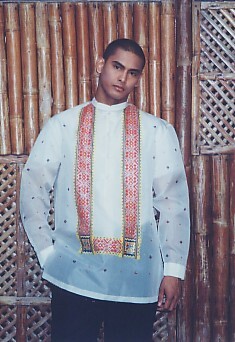 Galang broke new ground when he decided to conquer the international fashion scene by integrating the richness and unique attributes of traditional Filipino wear, fabrics, and weaves with contemporary silhouettes and styling. It is also Galang's keen understanding and adherence to quality, comfort, and wearability, coupled with the ability to infuse a spirit of individuality in each of his designs which resulted to unparalleled creations. His works speak of an artistic fusion of colors, fabrics and texture which caught the refined taste of fashion aficionados here and abroad. Thus bringing him both local and international acclaim. A name patronized by a discriminating clientele that includes the best-dressed and well-heeled from the Philippines, the neighboring Asian countries, the United States and Europe, Toni Galang is renowned and well-received in presentations in various parts of the globe. Making his American debut in 1992 at the Adams Mark Hotel in St. Louis, Missouri for the benefit of the Philippine Medical Association of Missouri Women's Auxiliary, Galang hit the heart of the St. Louis Post-Dispatch Fashion Department with it's editor, Becky Homan, featuring his collection in a full-color pictorial. Homan wrote, "Toni Galang is to the Philippines as Arnold Scaasi is to New York. He fashions feminine, figure-enhancing cocktail, evening and bridal clothes from his salon in Manila, just as Scaasi does along New York Avenue." 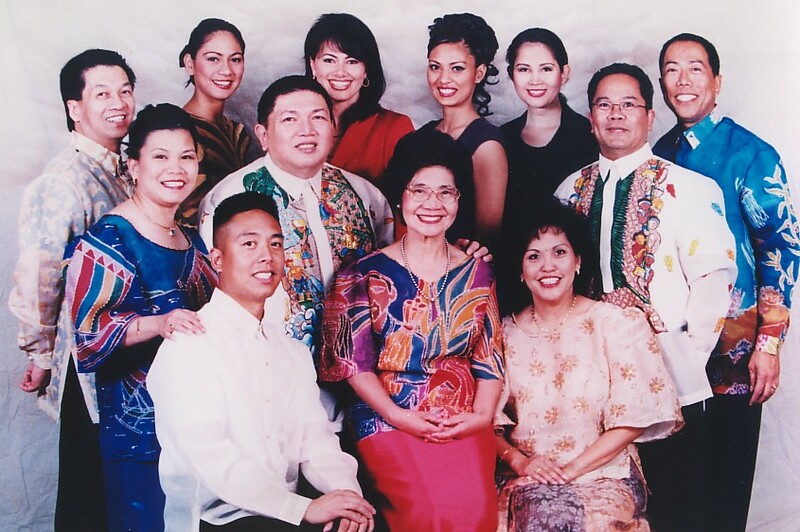 When Toni Galang returned to the United States in 1993 with a show at the Hyatt Hotel in Washington, D.C., Congressman Neil Abercrombie bestowed on him the Congressional Award "in recognition of his efforts in promoting Philippine culture and heritage through fashion." 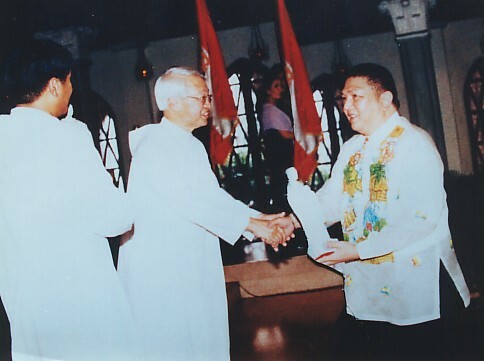 He was, and still is, the first Filipino to have been such honored. 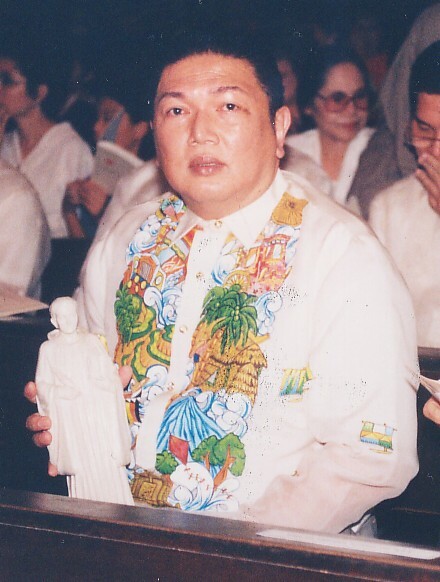 Before 1993 ended, Galang received yet another international citation. In ceremonies held in Indonesia on October 30, he was named ASEAN Program Consultant of the Piagram Penhargaan and was the recipient of the ASEAN Fashion Entrepreneur Award for Fashion from the Gedung Hailai International Executive Club. Since then, Toni Galang has been conquering the international fashion runways, jet setting from the fashion centers of Asia, to the east and west coasts of the United States, to the majestic countries of Europe. His name distinctively noted and his style wonderfully appreciated. He is the first and only Filipino designer who has held a show at the three century-old Marble Hall in Antwerp, Belgium. He is also one of the very select designers who were invited to dress up Barbie on her 40th anniversary. Galang joins the ranks of international designers like Liz Claiborne, Yves Saint Laurent and Karl Lagerfield in dressing up Barbie! The pride and honor Toni Galang has been bringing to the country did not go unnoticed, especially to his Alma Mater, San Beda College. When the distinguished academic institution celebrated its centennial anniversary, it honored Toni Galang by being named "Bedan of the Century" for his artistic talent in fashion. 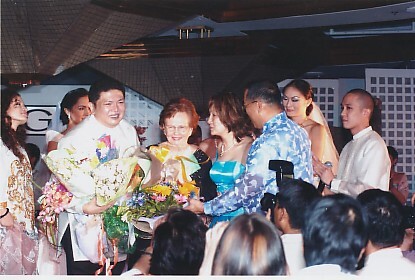 Year 2004 marks Toni Galang's Silver Anniversary in the world of fashion. A strictly invitational dinner and fashion show has been set to highlight Galang's twenty-five years of pure passion for fashion to be held at the Holiday Inn Galleria on January 30. It is a wonderful fashion sight to see and be seen. 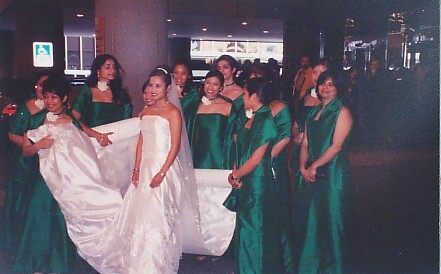 It also marks the reunion with the wonderful women who has walked the runway wearing Galang's uniquely magnificent creations - Patty Betita, Marilen Espino, Desiree Verdadero, Selina Manalad, Lou Bunyi, Yvonne Gonzalez, Michelle Nocon, Anne Torres, Sarah Jane Paez, Jo Ann Alivio, Marina Benipayo, Michelle Maloney, Princess Gairanod, Rachel Soriano and Gladys Dueñas among others. For the past several years, Toni Galang has been active in helping the various Philippine-American Medical Associations in the USA through fund raising activities for the benefit of their medical missions in various places in the Philippines like San Fernando City and Agoo in La Union, Bacolod City, Davao City, Kalinga, Apayao, Boracay Aklan, Tondo General Hospital in Balot Tondo, PGH and others. From left to right starting from the top. 1. 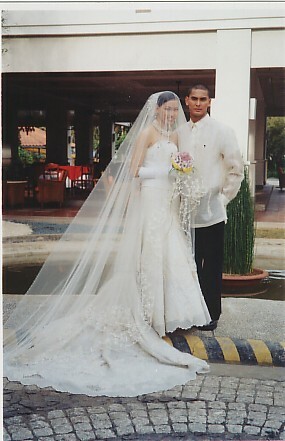 Toni Galang's bridal creation. 2. 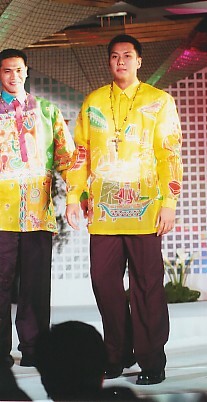 Gerard Jones in a Toni Galang Barong creation. 5. Romel Adducul of the PBA's Genebra team and Gerard Jones of the PBL's Magnolia team in barongs. 6. 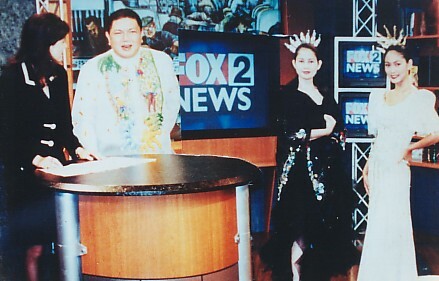 Toni Galang with FOX 2 News anchor woman Lucy Nolan and Binibining Pilipinas Patty Betita and Selina Manalad. 7. Toni Galang's 25th Anniversary Fashion Show. 8. Toni Galang accepting the "Bedan of the Century" award from Fr. Rector Anscar Chupangco, OSB. 9. 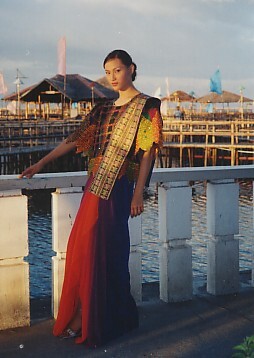 Toni Galang's Filipiniana creation. 10. Toni Galang with officers of the Philippines Medical Mission Foundation of Michigan led by Dr. Fanny Dela Cruz with Binibining Pilipinas Patty Betita and Selina Manalad, FOX 2 News anchor woman Lucy Nolan and hair stylist Ernie Ross of Seattle, Washington. Word of Wisdom from Toni Galang. " All Great Things Start From Small Things."